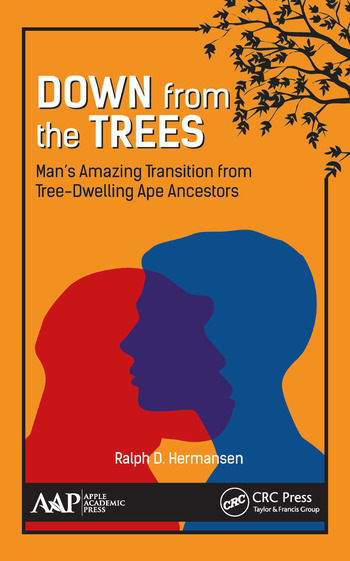 Down from the Trees: Man’s Amazing Transition from Tree-Dwelling Ape Ancestors covers the evolution of man from tree-dwelling ape to Homo sapiens as he is today. Using easy-to-read language, the author takes complex, jargon-filled material and extracts the essence of the topic and coveys it in a clear and engaging manner. He approaches the subject of human evolution from three different disciplines: fossil evidence and its interpretation, evolutionary theory and its applicability, and genetic evidence and its ability to unlock prehistoric information. The third discipline has advanced unbelievably in the last few years, and this book includes the most up-to-date research. There is nothing more interesting to humans than the story of their origins. The evolutionary process of a tree-dwelling ape becoming a walking, talking man who has developed the technology to walk on the moon, transplant hearts, or modify living things is no trivial story. This book provides a fascinating and comprehensive view of what science has learned of human evolution. Ralph D. Hermansen had a 40-year career in materials science and engineering. He has worked on many diverse engineering projects, including an atom smasher, classified weapons programs, design of the Boeing 737 and 747 airplanes, military aircraft and their electronic platforms, space satellites, missiles, automotive electronics, and telephony and other commercial applications. He planted his roots with Hughes Aircraft Corporation in his later career and eventually retired from there as a Senior Scientist. Career-wise, he has contributed numerous technical articles to journals and magazines, has 21 patents, and has several published books related to his career field. One of his most recent is Polymeric Thermosetting Compounds, available from Apple Academic Press. Ralph adopted a second career path after retiring in 1998, that of multidisciplinary science writer. His primary focus has been evolutionary science, which is incredibly diverse. Ralph's goal in writing Down from the Trees was to help curious readers learn the facts in plain language without battling the jargon and see that our prehistoric past is fascinating and filled with unsolved puzzles.